Pitchfest 2019 - Applications are now open! Over the last 4 years, Pitchfest – which is run by the Centre for Growth at Aston University, Bizzlnn at the University of Birmingham and Minerva at the University of Warwick Science Park – has put 90 entrepreneurs directly in front of investors and helped bring over £2,750,000 of investment to the region’s small businesses. The competition begins with pitch preparation, helping to refine your investment pitch. Judging rounds follow, where you pitch directly to a panel of investors, receiving valuable feedback on your presentation. Then comes the public final, hosted by Venturefest West Midlands, where the best business pitches compete in front of a live audience of investors and entrepreneurs to win the Best Pitch Award and a Golden Ticket worth £500 to access Minerva’s professional network of Business Angel Investors. 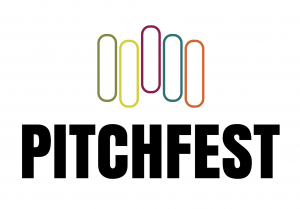 The Pitchfest 2019 Final is due to take place on 4th July 2019. Applications for Pitchfest 2019 are open. Apply now!